The value of exercise is now widely recognized and accepted. With many versatile uses that contribute to one’s all-around health, creativity and development, activity domes make great floor to ceiling playgrounds. Only limited by one’s imagination, activity dome climbing gyms offer limitless prospects to enhance beneficial indoor-outdoor playground exercise. Early childhood development experts attribute many health benefits to exercise in playground settings. Playgrounds are particularly beneficial in early childhood development, offering toddlers to young adolescents the opportunity to socialize and make new friends. Freestanding floor to ceiling activity geodome climbers become a social interactive hub for energetic toddlers, school-age children and adolescents to build muscles, develop critical life skills and gain self-confidence. The context for the statement and evidence to support benefits of outdoor play, as well as a series of suggestions designed to inspire active outdoor play can be found here. Playgrounds can be safe and fun zones for outdoor play and exercise. This begins by installing field-tested playground equipment along with proper planning and playground safety training. When it comes to safety, the structurally superior geodesic dome climbing gym is a safer alternative to traditional monkey-bars. Commercial-grade activity dome climbers exceed industry standards and are built to withstand the test of time. Formed by inter-connected triangles, dome climbers remain rigid and stable under the challenge of constant use and abuse. Activity dome climbers are a magnet for children. Delight and attract children of all ages by creating a basic ropes course within and around your activity dome. 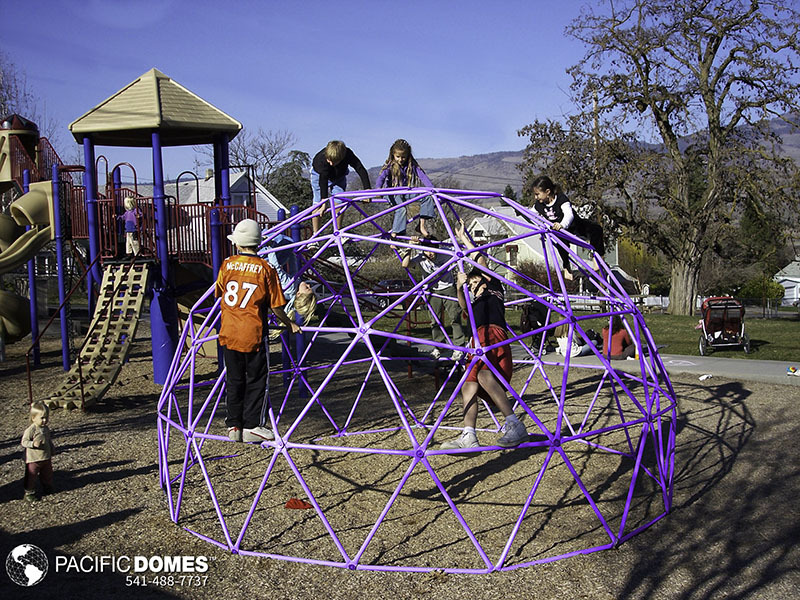 Pacific Domes’ freestanding activity dome climbers are the equipment of choice for community development projects and recreational indoor-outdoor programs. They are highly enjoyed in parks, schoolyards, child-care programs, churches and youth camps, to name just a few. Looking for a Climbing Jungle Gym to add to your playground fun? Activity domes come in a range of sizes, suiting everyone from toddlers to teens and providing hours of beneficial exercise and playtime for all ages! 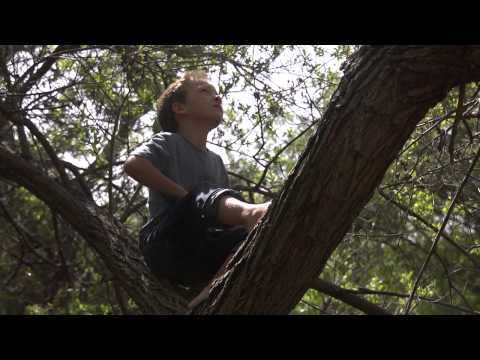 Young minds enjoy inspiration from the outdoors all year round! Young energetic children build muscles, develop critical life skills and gain self-confidence thru jungle-gym climbing, swinging and upside-down acrobatics. Toddlers love being able to play peekaboo thru the dome’s open bars, too. If you’re in the market for play structures, you’ll be pleased to know that Pacific Domes’ activity dome gyms are proudly manufactured in the USA from premium U.S. galvanized steel. Frames are custom color powder-coated, staying cool to the touch in full sun. Your jungle gym becomes an all-weather play house with optional dome covers, available in an array of colors. No matter whether you’re creating a large community-size park project or a playground project for your school, church or day-care, you’re sure to draw inspiration from these previous projects. The primary theme of the Children’s Village is to teach concepts of sustainability from the past, present and future. In accordance with their commitment to sustainability, the Children’s Village received the LEED Platinum award. Drawing inspiration from Nature and imparting a healthy respect for Mother Earth, the Peace Garden Preschool & Kindergarten at Havurah Shir Haddash is a Waldorf learning approach to the indoor-outdoor classroom. Home to creative play and countless art projects, the Peace Garden Preschool & Kindergarten at Havurah Shir Haddash opens onto a spacious patio-lawn playground that boasts a geodome climber and sandbox where Ashland’s children enjoy outdoor play all year-round. 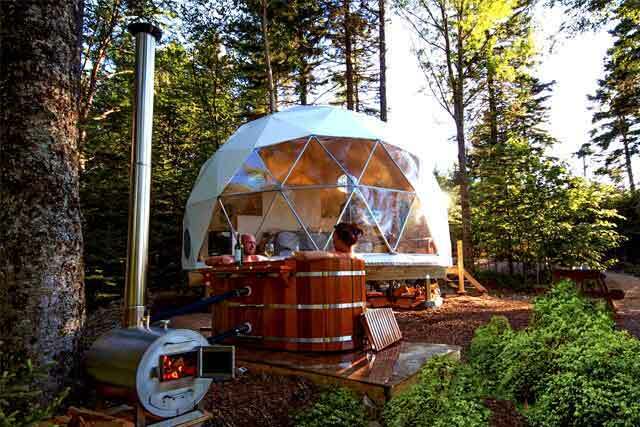 This schoolyard geodesic climbing dome has served a dual purpose and becomes home to countless art projects, car races, jam sessions, music/dance parties and tons of all around fun! Jessica Spencian, in a recent testimonial, says: “We care for children, ages two to five years old. he 16ft. 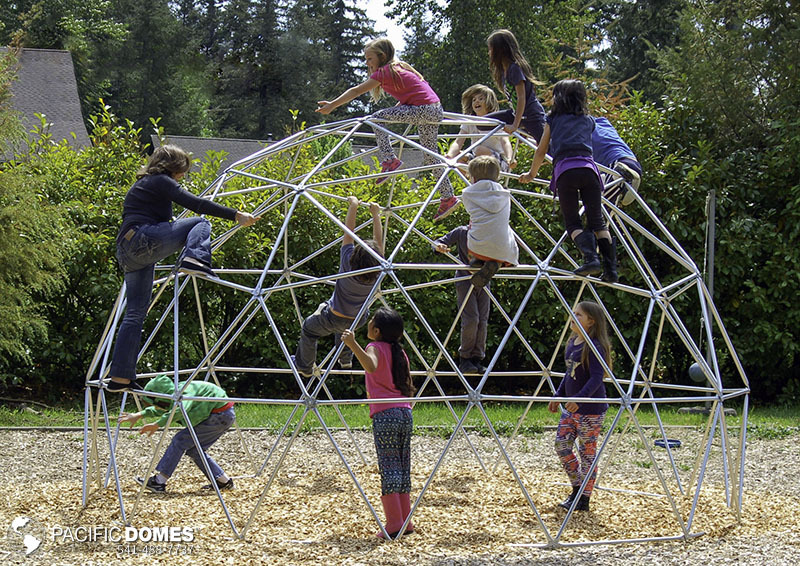 tall geodome climber from Pacific Domes has been so instrumental in our school’s ability to expand its ‘Reggio Emilia’ inspired learning program. The Nature Smart Education Dome at Coyote Trails School of Nature in Medford, Oregon, provides experiential nature education to all age groups. The open floor plan and vaulted ceilings of their dome provide a warm sunlit learning environment. Pacific Domes is proud to build the best geo-engineered play structures in the world. Manufactured in the U.S. from USA galvanized steel, Pacific Domes’ engineering blueprints exceed strict building codes for strength & safety. 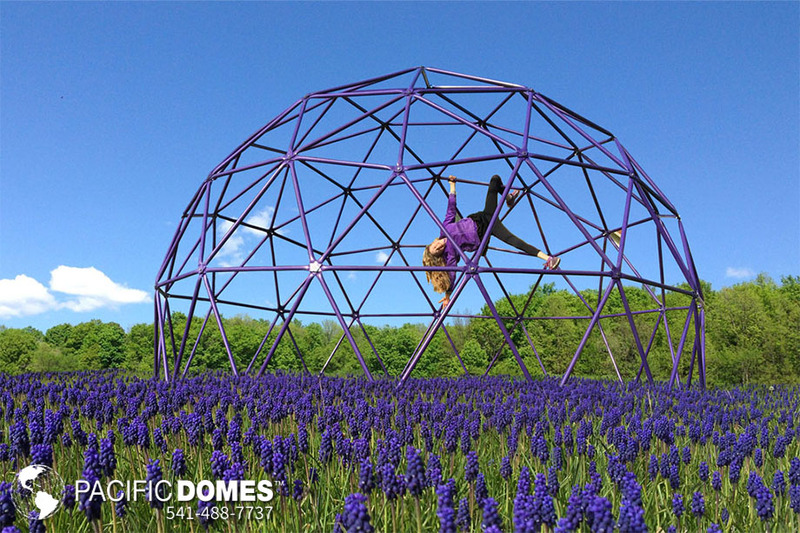 At Pacific Domes, we have your child’s safety in mind. Need help planning your playground project? 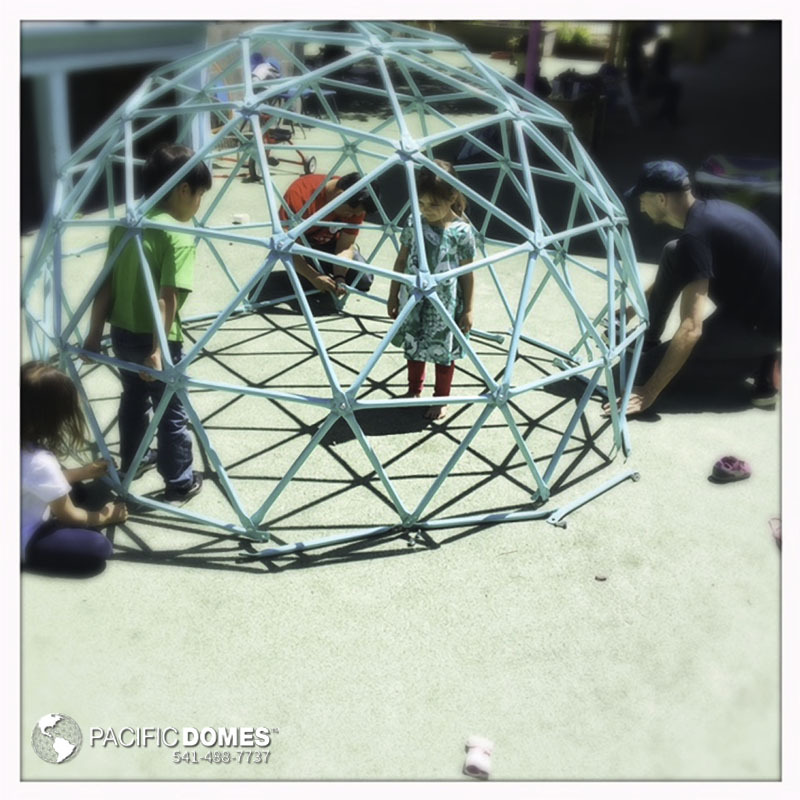 Pacific Domes’ in-house staff is equipped to assist you with envisioning and manifesting your playground project! We’re here to inspire your playground creation with customized 3-D renderings that come to life right before your eyes. In addition to manufacturing the best geo-engineered structures in the world, finding creative solutions to satisfy your needs and requirements is what we love to do best! 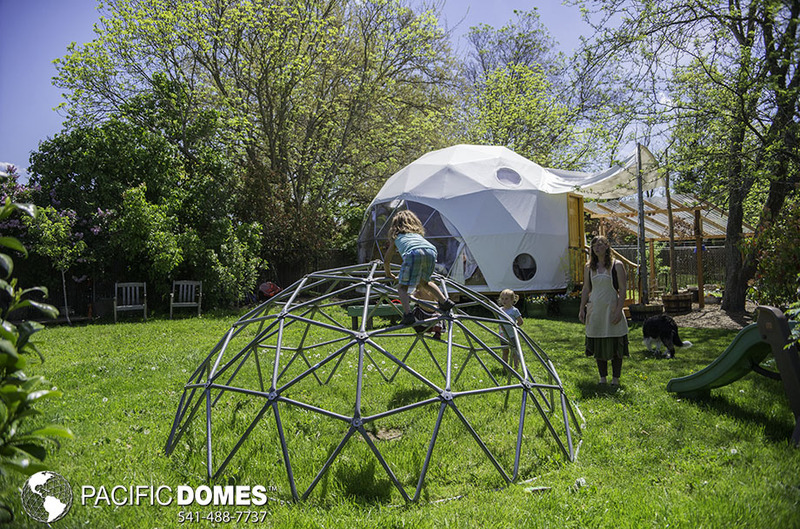 If you liked this post and would like more information on portable geodesic-engineered building systems, Pacific Domes’ friendly and helpful staff is here to discuss your needs, so you have the best experience possible. For additional inspiration for your playground project, be sure to visit pacificdomes.com.